A quick and easy salad using local superfood: BC Blueberries. Drizzle with Flax Lemon Vinaigrette. 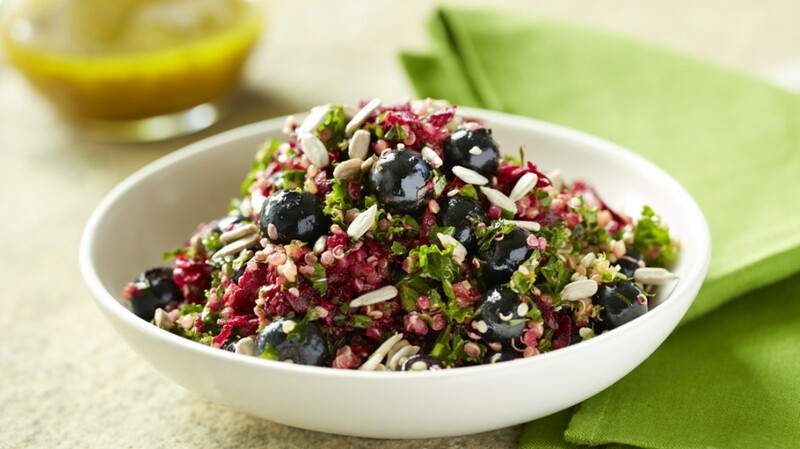 In a bowl combine kale, blueberries, cooled quinoa, grated beet, hemp hearts, and flax lemon vinaigrette. In a bowl, whisk together lemon juice, parsley, honey, lemon zest, pepper, salt, and turmeric.